For anyone that knows me, I’m not much for mysteries. 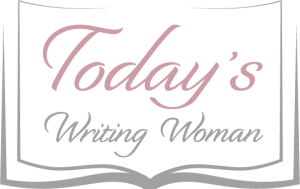 However, I am trying to expand my horizons and branch out into other styles of writing. I saw this on a free booklist and decided to give it a whirl. I figured since it had somewhat to do with food, how bad could it be? I was pleasantly surprised with the entire read. The characters were well developed, the story was easy to read, and frankly, not lame. In fact, I was quite taken by the whole thing and really enjoyed myself throughout the whole book. Even trying to solve the mystery before it was over. Ms. McRae did a great job keeping that tidbit to the end. Worse yet, the crisis center is in financial trouble, Sophie Mae’s boss mysteriously dies of food poisoning and everyone becomes suspect, including the crisis center secretary! What a mess but oh what fun to watch Sophie sleuth her way through the maize of clues until she finds the culprit. With the help of her roommates, friends in the preserve exchange and the townsfolk of Cadyville (including Sophie’s boyfriend, Detective Ambrose) Sophie stumbles upon a few more things than she bargains for. 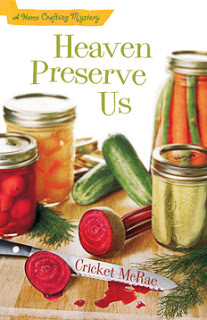 I must say that I really enjoyed Heaven Preserve Us: A Home Crafting Mystery by Cricket McRae. It was a fun, quick read and easy to follow. I actually thought this was the first book in the series, but just recently found out that it’s the second. I am definitely going back to read the first one before continuing on.